Spaces are limited, first come first served! The world of today creates a busy, unhealthy, and stressful life. Aerial Yoga Teacher Training at FlowMove will teach you the techniques that are required to stay fit and stress-free while expanding your yoga knowledge to new levels. Joanna Puchala is a highly trained and knowledgeable yoga professional, who will help you become an Aerial Yoga expert. During the training, you will gain greater strength and flexibility while feeling completely relaxed hanging inverted in an anti-gravity environment. Once the training is complete you will be able to connect with the Aerial Yoga community worldwide and start the new and improved yoga life! Aerial Yoga basically combines traditional mat yoga with postures suspended in soft hammocks. With the help of gravity, you can playfully explore floating, fluid movements and create space in your body without compression of joints or spine. The feeling in the body is exquisite. Joanna is an aerialist, contemporary dancer/choreographer, pilates, yoga/aerial yoga teacher and yoga therapist for mental health, depression and anxiety based in London. She leads international workshops, training courses and retreats. Joanna came across Aerial Yoga five years ago when she was a well advanced and experienced yoga teacher. After five years of delivering Aerial Yoga classes, workshops and retreats she saw a big potential to run an aerial teacher training course to develop the expertise and job opportunities for other yoga professionals. As regular mat yoga is becoming saturated, aerial yoga is emerging as from niche to a main stream form of yoga therapy. There are immense benefits associated with the inversions and suspensions of aerial and antigravity yoga and it helps make yoga practice deeply therapeutic and spiritual. Joanna has created a unique form of aerial yoga flow practice which allows one to experience suspension while strengthening and opening the body and mind. 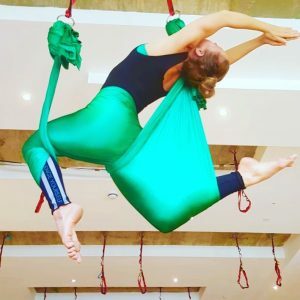 Her unique approach to aerial yoga practice has made her become a very well defined teacher who is greatly in demand for her teaching skills. This interest inspired her to share her skills and train other professionals and help them to enjoy the success and opportunities she has found in the course of last five years of aerial yoga teaching. Joanna has 20 years experience in different mind body practices such as yoga (Hatha, Ashtanga, Vinyasa Flow), pilates and contemporary dance. She teaches Vinyasa flow that focuses on core strength and flexibility and allows for self-expression, body toning and a deep connection between body and mind. As a Yoga Therapist for mental health, depression and anxiety trained with Minded Institute, she uses other techniques to stimulate the body and mind, such as: Pilates and Free/Flow/Improvised movement to release the stress and calm down the nervous system. The accommodation provided by FlowMove includes all the basic and rustic facilities needed for the comfortable and minimalistic stay at the FlowMove well being retreat. We create an sustainable environment in the middle of a nature reserve where we have our own wells, Aga cooker, open fire place and we generate energy from solar panels. The goal of this retreat is to create a community setting for like minded people who want to experience a simple life style as we used to live long time ago. It’s an open house with a dormitory for 6-8 people, chill out space on both floors, 2 bathrooms, dining area, studio area and the terrace with garden. The property is surrounded by woods. The wooded landscape covers a vast area and invites long walks where you can pick the forests fruits and mushrooms from the woods. Mobile Internet access works well, the reception is very good. However we recommend not to use it to have a full experience of isolation from the hectic life style you leave behind. Upon completion of this yoga teacher training, students will receive certificate affiliated with FlowMove. Registration with FlowMove meets the identified standard set by the organisation. You’ll be able to insure with Balens or any other of your insurance company as an Aerial Yoga Teacher and teach Aerial Yoga. There is a huge demand for Aerial Yoga teachers therefore we can guarantee you are going to have plenty of work after the completion of this course. Also we are going to include you in our directory of covering and potential studio teachers as well as virtual aerial yoga teachers in our online academy. 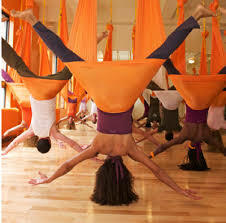 Aerial yoga basically combines traditional mat yoga with postures suspended in soft fabric known as hammocks. With the help of gravity and the hammocks, you can playfully explore floating, fluid movements, and create space in your body without compression of your joints and spine. The feeling in the body is exquisite. The Aerial Yoga training will be indoors with a wonderful view of the Polish Mountains. This is the only Aerial Yoga Centre Retreat in that part of the world. 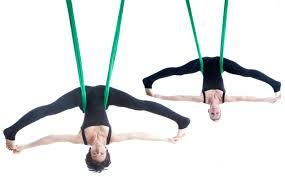 Aerial yoga is the leading proprietorial method in the modern yoga trend. It is one of the most beneficial forms of alternative therapy. It provides a workout that allows you to stretch and strengthen without over stressing your joints or compressing your vertebrae. Aerial yoga uses the hammock with which you will learn to invert and hang suspended in the air. The physical benefit of the practice is significant but even more the mental and spiritual aspect of aerial yoga practice is extraordinary. The aerial yoga teacher training is newly located in breathtaking Silesian Beskids, near Ram Mountain – Barania Gora (1200m/4003 feet) – the highest mountain in the Polish part of Upper Silesia. It takes 1.5h trekking from the location of the retreats to reach the peak of Ram Mountain. This is a calm and grounding place, in the arms of mother nature, away from the hustle and bustle. The perfect place to immerse yourself in an aerial yoga teacher programme. Based at the FlowMove Wellbeing Intimate Space, we are offering a lovely aerial/yoga space with terrace and mountain view, as well as good standard basic facilities and staff. 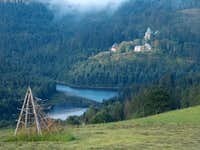 There are several trails to reach Barania Gora from and to different locations in the Silesian Beskids such as Vistula, Skrzyczne, Stozek Wielki and also Czeck and Slovack Republic. 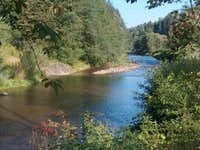 Barania Góra is also known as the emblematic mountain of the Vistula (Wisła, just like the homonym mountain resort at its base), where Poland’s largest river, flowing over 1048km via Cracow and Warszaw to the Baltic Sea, takes its source. Barania Góra is also a natural reserve that extends across most of the western slope, in the perimeter formed by the rivers Malinka and Black Vistula. Many indigenous plants and trees grow in the fragile environment which is resembles a primeval forest. The route that visits the summit via the Black Vistula, the Przysłop hut, and returning via the White Vistula is an educative trail with informative panels set all along the way, informing the visitor about the specificities of the ecosystem. We provide 8/16 hour diet consists of brunch and dinner. You eat twice a day with 8 hours interval and fast for the next 16 hours. This diet makes you feel energised, balanced, detoxified, light, strong, makes your skin looks healthy and smooth and extends your longevity. The food is healthy, fresh,homemade and vegetarian. Food has a great impact on one’s body, mind, and soul, which is very important in yoga practice. If you can not attend you can find someone who is going to replace you. Places are limited! We recommend you to book asap in order to guarantee your space and take advantage of the cheap flight tickets.